New title, does what it says on the tin! The Walking Dead co-creator Robert Kirkman has revealed the much anticipated title of The Walking Dead companion series, confirming the series will be called Fear The Walking Dead. The AMC series – which airs on Fox in the UK – has already been given a two season order, with the network also confirming that like it’s counterpart, episodes will be debuting globally within 24 hours of its U.S. premiere. 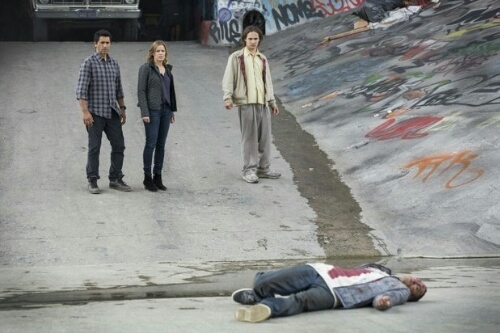 Fear The Walking Dead is set in Los Angeles and focuses on new characters and storylines, including Cliff Curtis, Kim Dickens, Frank Dillane and Alycia Debnam Carey. No set date has been announced for Fear The Walking Dead, with AMC simply saying it will air in the summer.